A petty turf war surrounding the Slovak curator despoils Roerich’s Himalayan paradise. It’s spring in Kullu, and the camellia bushes are thick with dark pink blooms in Nicholas Roerich’s beloved garden in the village of Naggar, Himachal Pradesh. 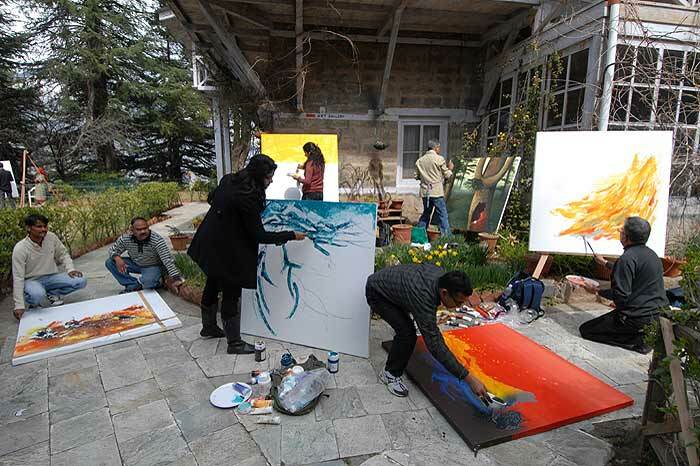 A group of painters has set up easels here, and the spectacular snow-capped mountains in the distance are taking shape on them. Children are coming up the mountain path to the Roerich home, tourists are clicking pictures. 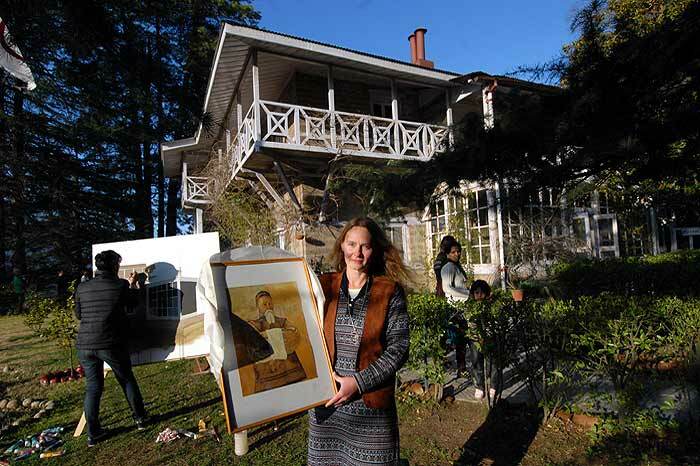 Amidst all this, the great Russian painter’s ashes lie buried under a samadhi in a quiet corner of the cedar-dotted estate. It’s a charming scene, but one that provides no hint of the trouble brewing in Roerich’s Indian paradise: a bitter battle, no less, between the Russians, led by their ambassador in India, and the Himachal Pradesh government, over Roerich’s legacy. Roerich, who died in 1947, wasn’t just a renowned painter but also a philosopher, scientist and explorer who, at the end of his Central Asian expedition in 1928, made Naggar his home. It is here that he and his elder son George Roerich collated the ethnographical and archaeological material gathered during the expedition and set up Urusvati, a Himalayan research institute, besides producing some 7,000 paintings of the Himalayas. And it was in Naggar that the senior Roerich conceived what was later to be known as the Roerich Pact (the basis for the Hague International Convention for Protection of Cultural Values in the Event of Armed Conflict), declaring all treasures of culture and art inviolable. It was here, too, that Roerich designed the Banner of Peace that today flies above many cultural and educational institutions across the world. In 1993, a year before she died, the legendary actress Devika Rani, who was married to Roerich’s younger son, Svetoslav, set up the International Roerich Memorial Trust (IRMT), comprising people from Russia and India, to preserve and extend the work done by the Roerich family. But nearly two decades later, this trust, headed by the Himachal Pradesh chief minister, and with the Russian ambassador as vice-president, has been torn by controversy. It’s not just Chandel who wants Alena out. Clearly, from what state officials say, the state government, too, would like to see her exit for engineering an administrative takeover of the trust. In fact, in 2006, the then principal secretary (culture) of the state wrote to the chief minister, recommending that her powers as executive director be curtailed and the management be handed over to an officer of the district administration. Consequently, her powers were restricted, but the redoubtable Alena found novel ways to keep at her task, seeking help from the scores of Roerich Societies across the world and friends of IRMT in Russia. However, support for her comes not just from the Russians, but other trustees too; even, significantly, one belonging to the BJP, whose government rules Himachal Pradesh. Sudheendra Kulkarni, senior BJP leader and lifetime trustee of IRMT, told Outlook, “The allegations are baseless, and are meant to divert the attention from the good work IRMT has done in recent years against many odds. 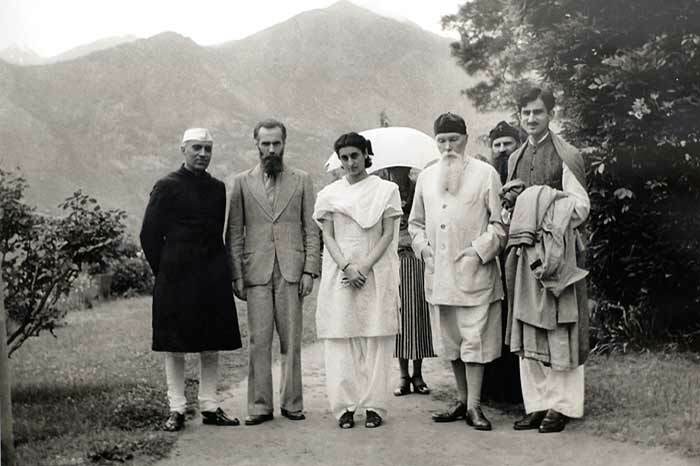 There is no one more deeply committed to, and more knowledgeable about, the Roerich legacy than Alena Adamkova.” He said it was because of her that the trust had brought out many fine publications—an activity that had come to standstill before her arrival. In Himachal bureaucratic circles, this praise does not go down well. Says one official, “Though she is doing a good job, the trust belongs to both India and Russia, it is registered in Himachal Pradesh, and it is the responsibility of the state government to keep an eye on its activities.” Chandel, meanwhile, says he is preparing to move the courts to take the battle to its logical conclusion. A priceless Indo-Russian legacy is in danger of being ripped apart.